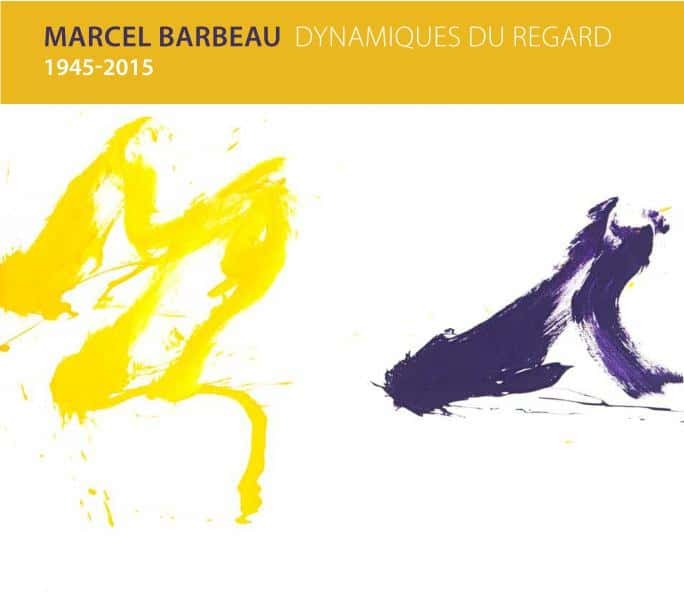 On the occasion of the exhibition Marcel Barbeau Dynamiques du regard 1945-2015, celebrating the artist’s 90th birthday and his 70 years of artistic career, Michel-Ange Art Gallery publishes a fully illustrated catalog documenting the exhibition and putting into perspective the creative trajectory of this exceptional visual artist. This bilingual document is both a theoretical tool and an excellent visual aid to understanding the work of Barbeau. Pioneer of abstract expressionism in Canada since 1945 as a member of the Automatist movement, signatory of the manifesto Refus global (Total Refusal) in 1948, Marcel Barbeau has produced an inventive and varied multidisciplinary work, he has exhibited across Canada, the United States, Europe and North Africa. Sonia Denault, director and owner of the gallery, who signs the preface of the catalog, invited the art historian and sociologist Ninon Gauthier, specialist of Marcel Barbeau’s work and author of the catalog raisonné of his drawings, paintings and sculptures, from their beginnings in 1944, to bring a new light on the work and on the unusual career of this Canadian master of contemporary art. The young art historian Marie-Ève Tanguay, who is familiar with Barbeau’s works, as an assistant, wrote a biographical note tracing the main stages of his career and his multidisciplinary work. The graphic designer Carole Aumais designed the graphics of this elegant 48-pages catalog. 39 of the 70 works in the exhibition are reproduced in color, and most are fully described. Photographs by Maurice Perron, Robert Etcheverry, Romana Kaspar and photographic reproductions by Andrea Barria and Daniel Roussel complement the illustrations. The catalog sale price is $ 20. + Delivery costs.